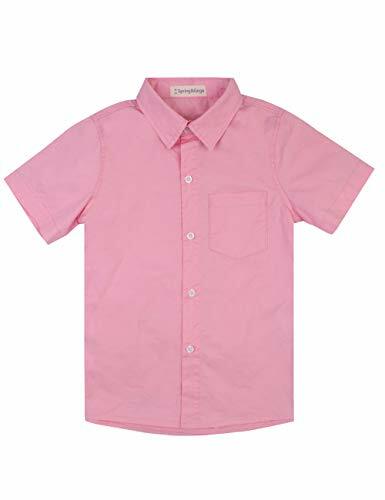 This must-have short-sleeve solid dress shirt features a classic collar, single chest pocket, pleated back and round hem. The classic collar is smart, timeless and suits every kids, with or without a tie. Twill weave: Featuring a diagonal-stripe effect, a twill weave shirt feels softer, thicker and more luxurious than poplin. Twill shirts are also easier to iron. If you have any questions about this product by Spring&Gege, contact us by completing and submitting the form below. If you are looking for a specif part number, please include it with your message.